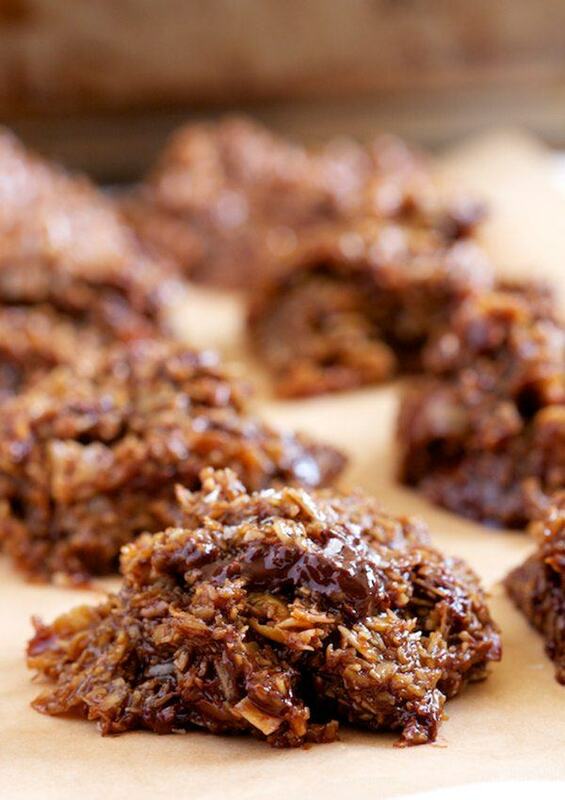 Affectionately known as coconut crack, these cookies are highly addictive. 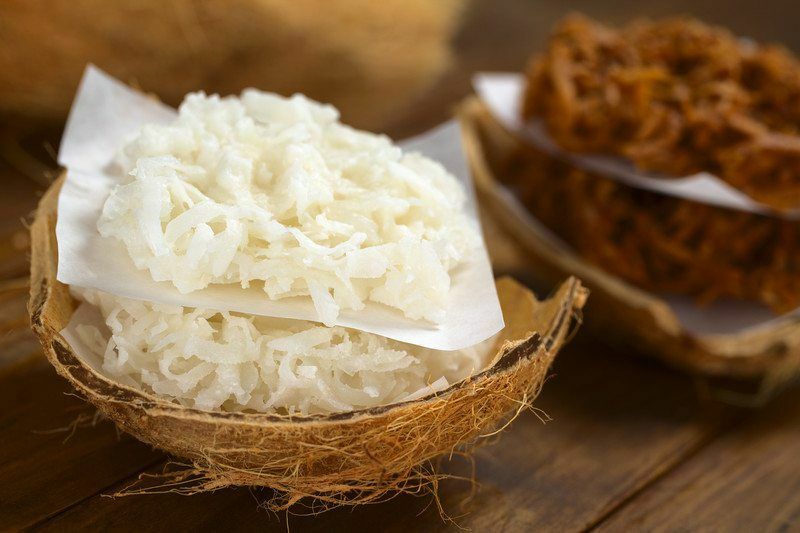 All you need for the base is softened butter, powdered sugar and sweetened shredded coconut. 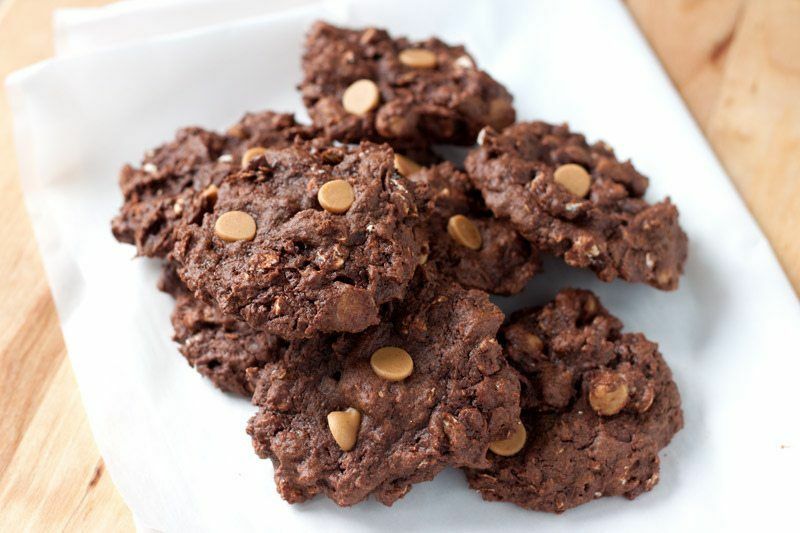 For a chocolate layer on top, simply melt some milk or semisweet chocolate chips and scoop a teaspoon onto each cookie. If you have the discipline, let the sweets set up for an hour before diving in. For a treat that’s simple yet delicious, try out this one-pot wonder. 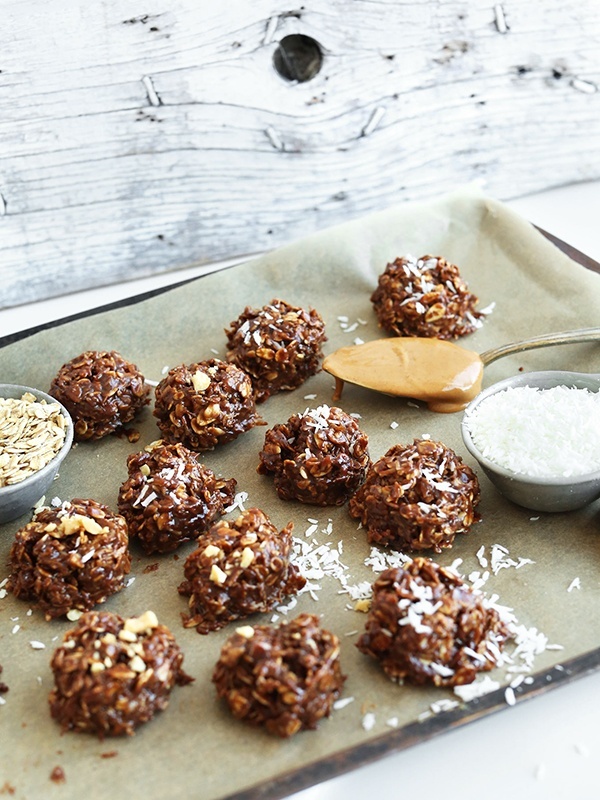 Featuring shredded coconut, rolled oats, cocoa powder and a little bit of peanut butter, this drop batter will harden in under thirty minutes, resulting in a chocolatey cookie that’s out of this world. 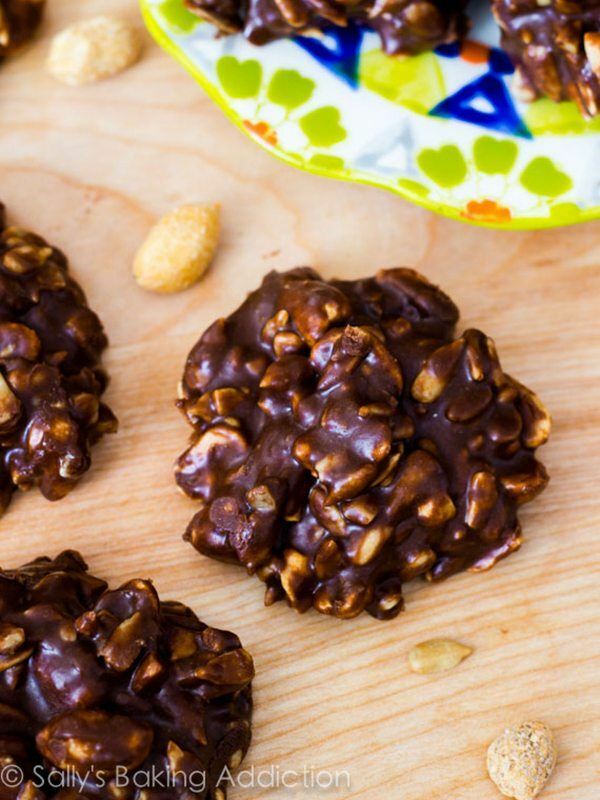 This vegan-friendly recipe is perfect when you’re in the mood for a no-bake cookie that tastes like an almond joy candy bar. You’ll make the filling using shredded coconut, maple syrup, coconut oil and vanilla, which you’ll freeze in a muffin pan to get a cookie shape. Then, you’ll dip each goodie into melted chocolate chips and top with a few almond slices. Boil evaporated milk, granulated sugar, corn syrup and butter before stirring in vanilla, coconut and pecans. The batter isn’t complicated, but the end product is still sure to please a crowd. The only tricky part is having to wait an hour for the cookies to be in prime condition. For these snowball cookies, you’ll need cream cheese, canned crushed pineapple and flaked coconut. 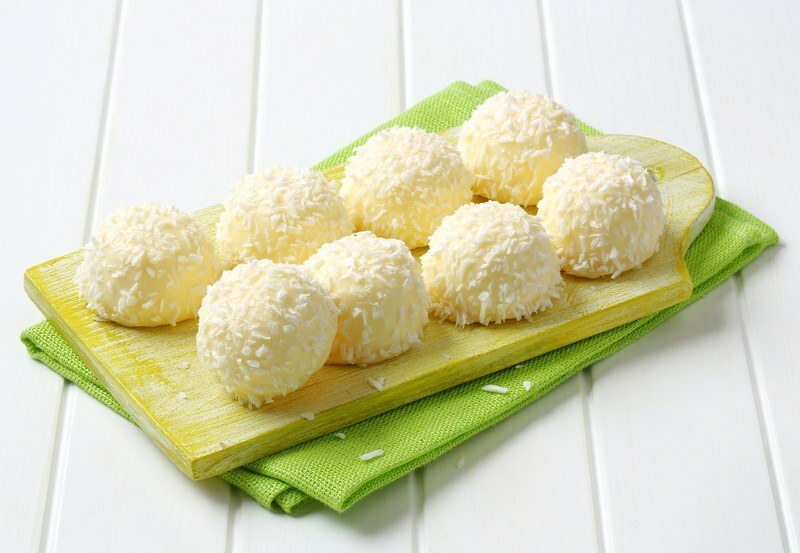 You’ll beat the cream cheese and pineapple, rolling the refrigerated mixture into balls and rolling the balls in coconut. Yes, the recipe really is that short and sweet. 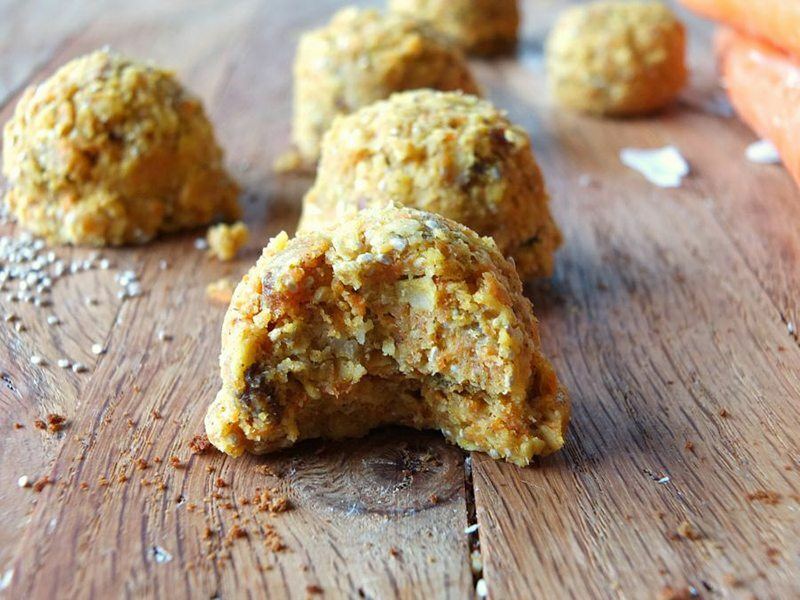 In a food processor, combine nourishing ingredients like baby carrots, coconut, chia seeds, pitted dates and coconut flour with ground cinnamon for a healthy cookie that’s paleo approved. 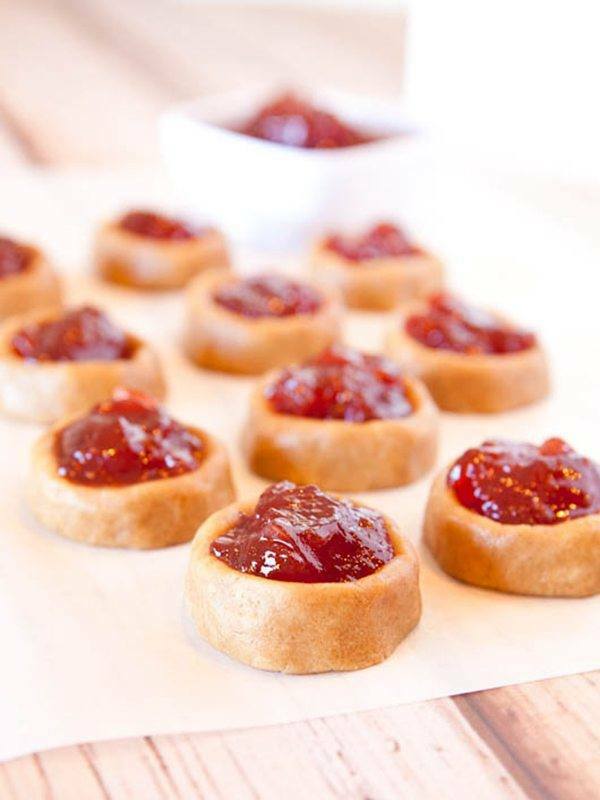 Scoop tablespoonfuls of your mixture onto a baking sheet and pop the pan into the freezer until your treats are set. 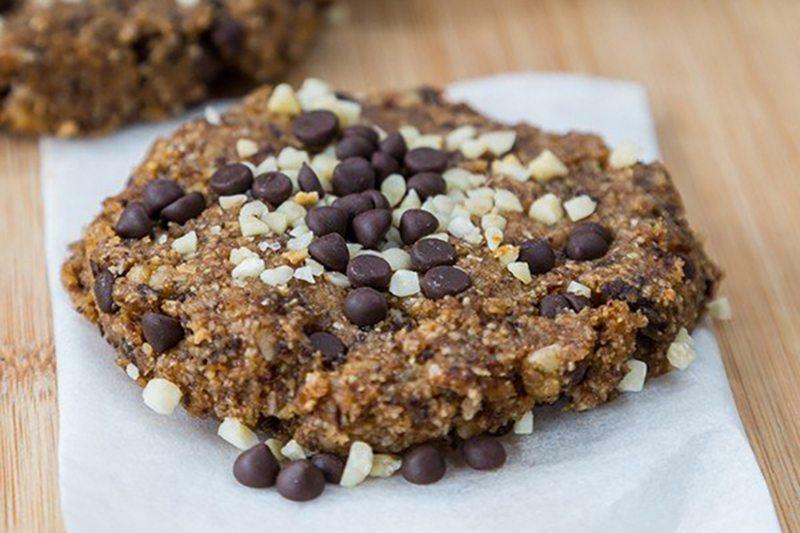 Using dates, almond meal, grated coconut, minced almonds and dark chocolate chips, you can make these yummy yet health-conscious cookies. After you’ve shaped the dough into cookies, cover and refrigerate them for two hours before serving. Making use of peanut butter, maple syrup and coconut oil, you can boil a sweet batter and then stir in oats, vanilla and some mini chocolate chips. This no-bake treat should set up in less than ten minutes. Does it get any quicker? Melt butterscotch chips and creamy peanut butter, which you’ll pour on top of mini marshmallows, peanuts and your favorite gluten-free flavor of Chex cereal. After making sure the cereal is thoroughly coated, drop the mixture onto waxed paper and give the dessert twenty minutes to set up. 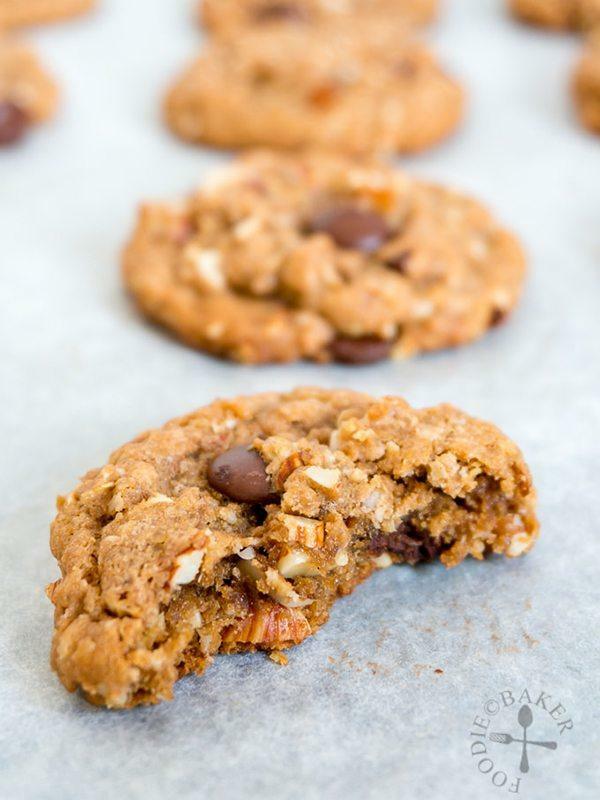 Yes, you really can have PB&J cookies that are wheat free, no bake and delicious. You’ll be using peanut butter, softened butter, cinnamon and vanilla along with three sugars: brown, granulated and powdered. Depending on your preferences, use rice, oat or almond flour along with your favorite jelly such as strawberry, grape or apricot. 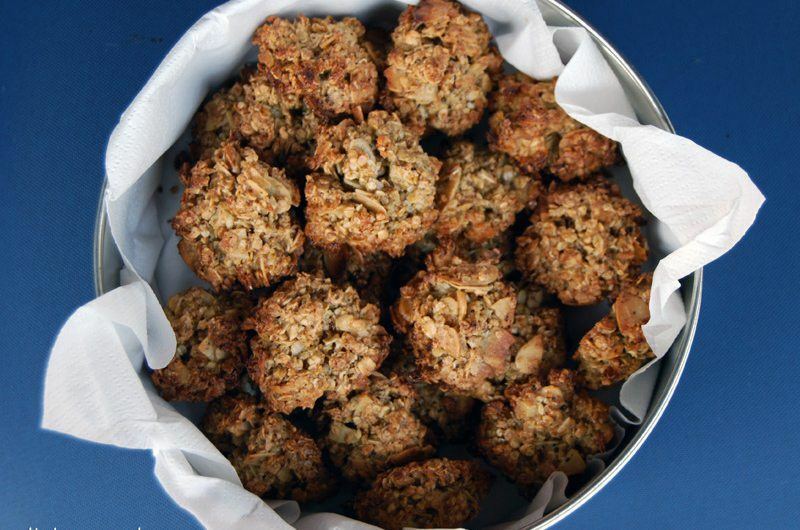 Toss into your mixing bowl chopped almonds, chopped pecans, rolled oats, sesame seeds, flax meal, peanut butter, agave nectar, grape seed oil, vanilla extract and carob chips. Once everything is well incorporated, roll the dough into small balls and serve. How easy is that? After boiling coconut oil, maple syrup and cocoa powder, stir in peanut butter, vanilla and then cooked quinoa. 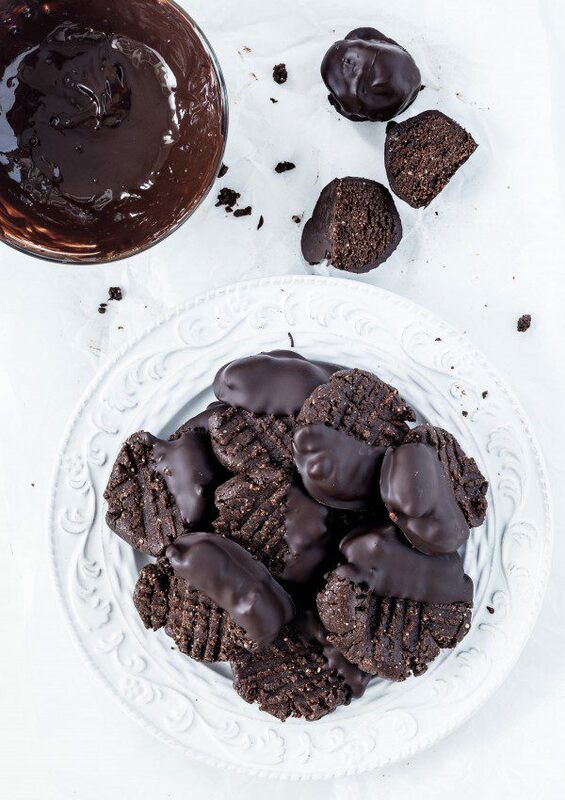 You’ll want to drop scoops of the batter onto parchment paper, which you can place in the freezer so the cookies will become completely firm. Here’s an easy recipe for an adorable no-bake dessert. In a food processor, you'll grind gluten-free oats and then add butter, sugar and peanut butter. 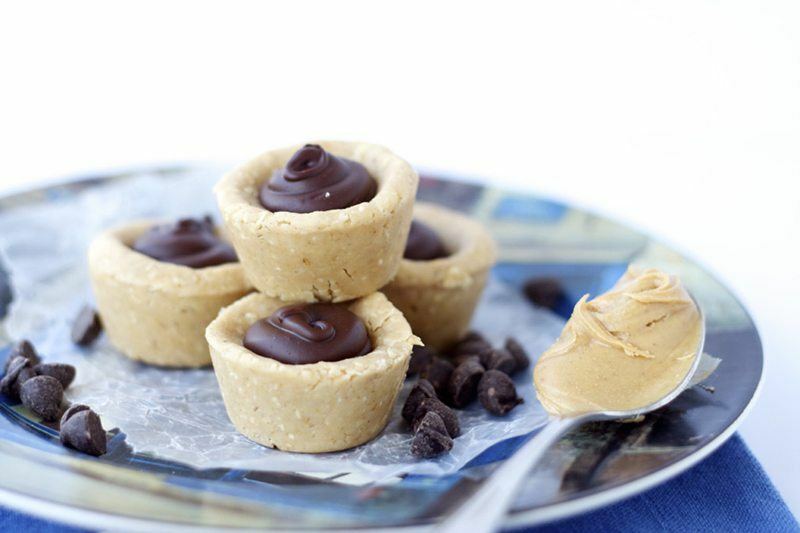 You'll use a mini muffin tin to shape your dough and then you'll spoon a dollop of peanut butter-infused chocolate in the middle of each cup. Yum! Add a scoop of vanilla protein powder into your oatmeal, which you’ll stir into the heated mixture of peanut butter, cocoa powder, maple syrup and almond milk. Brittany uses a vegan brown rice protein powder, but just make sure whatever product you use doesn’t contain gluten. 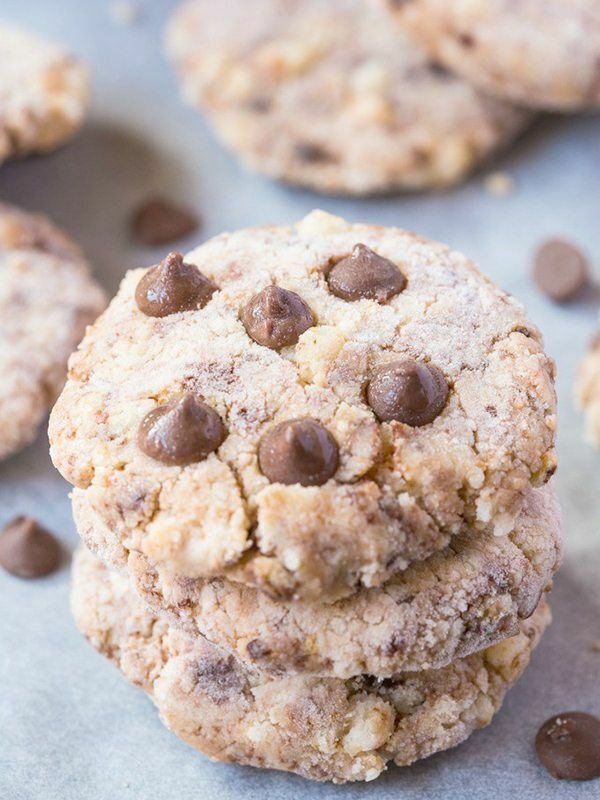 This two-ingredient recipe is perfect for when you want to stay true to your diet goals without cutting yourself off entirely from cookies. Combine cashews and pitted dates in your food processor for a shapeable dough you can eat by itself. If you’re feeling adventurous, throw in some cocoa powder or dried fruit. 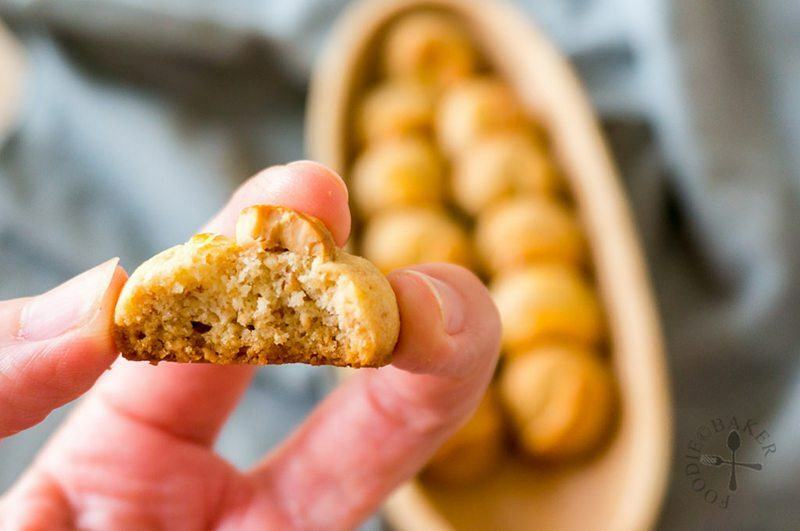 These Filipino cookies blend the flavors of almond flour and roasted peanuts for a sand-textured cookie that's deliciously buttery. If peanuts aren't your thing, you can replace them with crisped rice or an alternative nut. 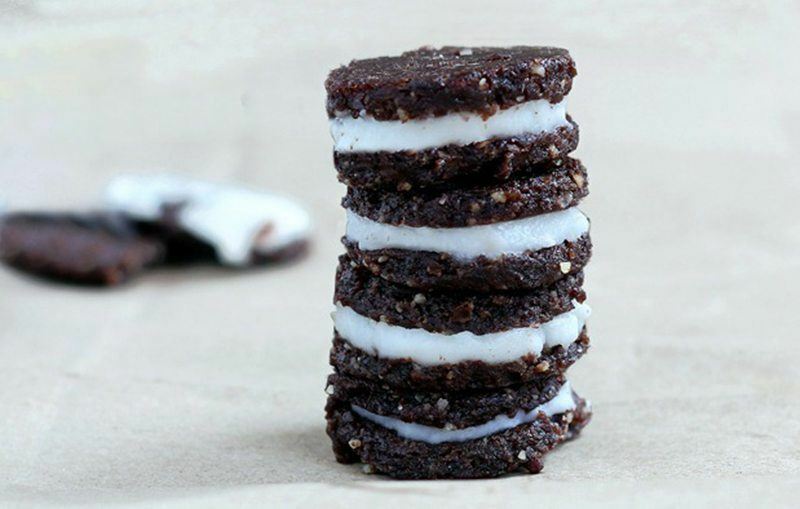 These nut-based cookie sandwiches are anything but ordinary. 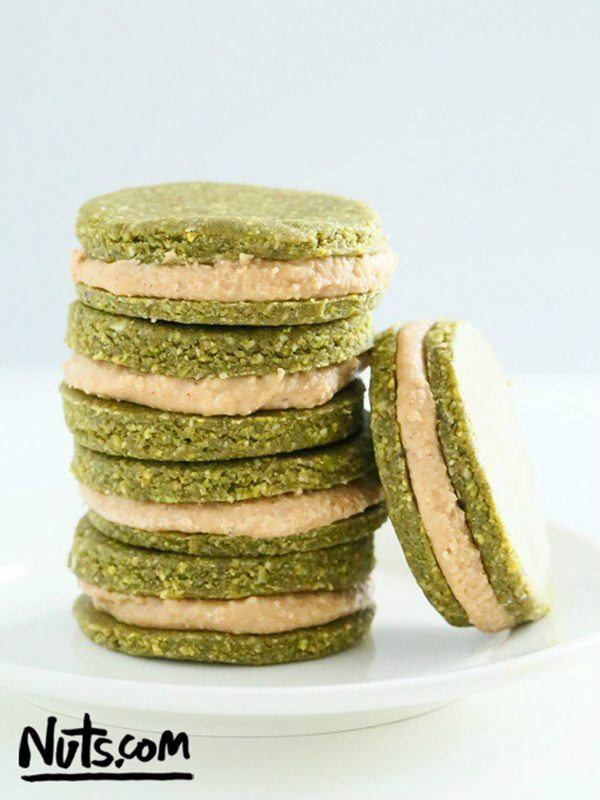 For the cookie crust, you’ll make use of pistachios, shredded coconut, gluten-free rolled oats, maple syrup and moringa powder. For the filling, you’ll combine raw cashews and almond butter along with more oats and coconut. This grain-free option makes use of pecans and almonds along with canned pumpkin, ground flaxseed, pitted dates, cinnamon and pumpkin pie spice. 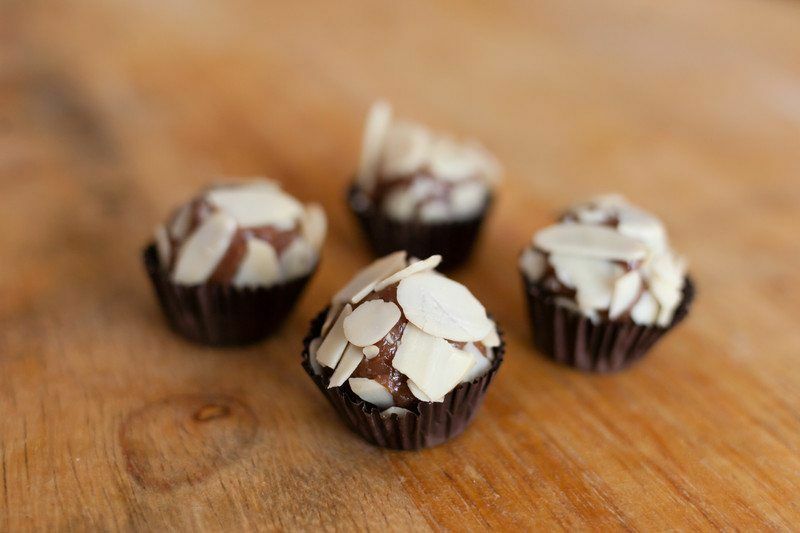 For good measure, top each treat with a pecan half or some sliced almonds. When you group together almond flour, coconut flour, ground flaxseeds, arrowroot, coconut sugar and honey, you get a sweet treat that doesn’t need to be baked. Roll the dough into balls or just eat directly out of your mixing bowl with a spoon. 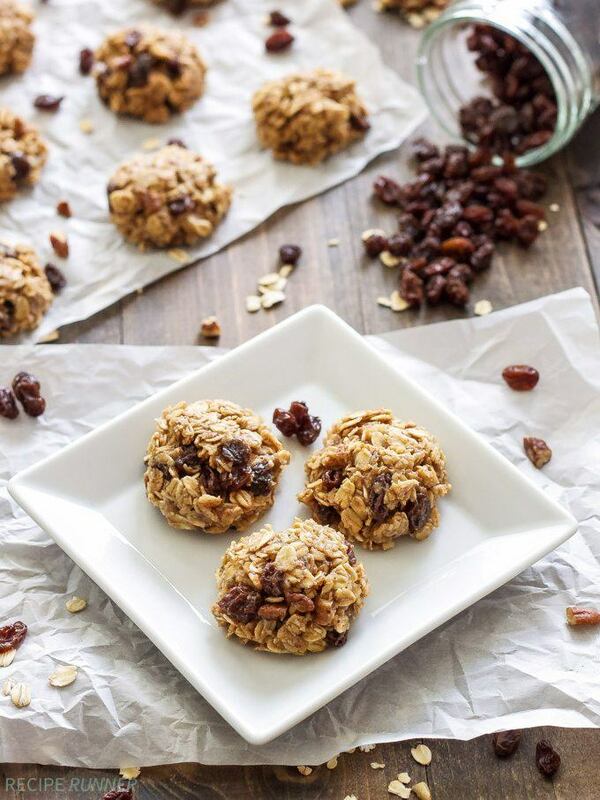 Combining gluten-free old-fashioned oats with raisins, chopped pecans, mashed banana and almond butter is a great move when you also add into the mix vanilla, cinnamon and nutmeg. 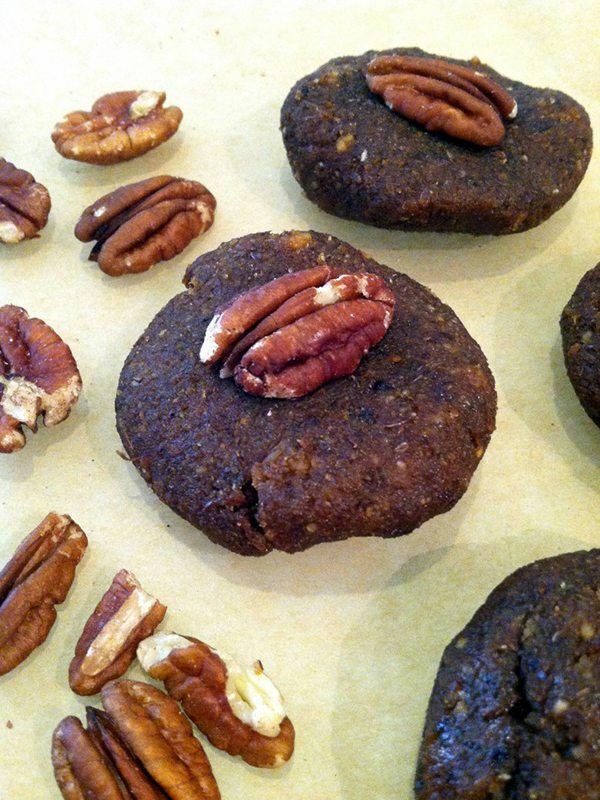 Throw these guilt-free cookies in the fridge for twenty minutes and then devour. 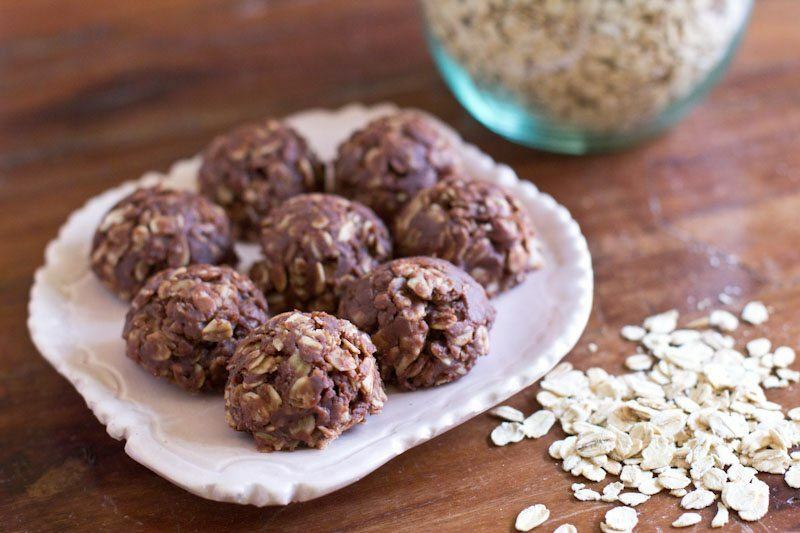 The highlight of these rolled oat cookies is the phenomenal hazelnut flavor of Nutella. You’ll also use a little bit of cocoa powder and peanut butter to perfect the taste and texture, which will be fabulous after thirty minutes of refrigeration. 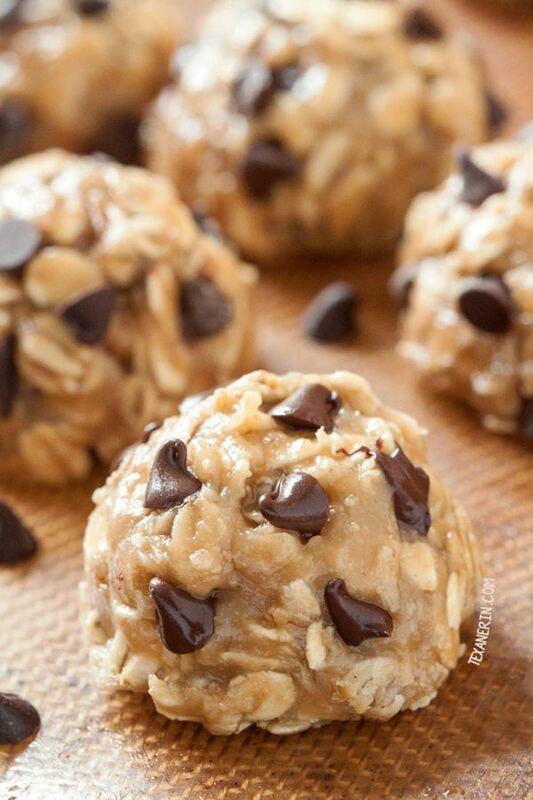 For these no-bake cookies, bring maple syrup, almond butter, mashed banana and almond milk to a boil before stirring in gluten-free oats and vanilla extract. Let the dropped cookies cool to room temperature and then enjoy. 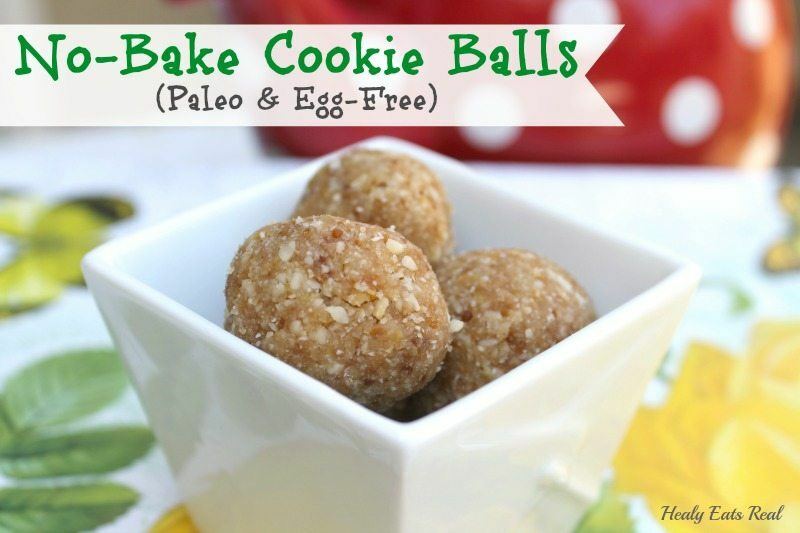 This gluten-free, nut-free recipe is perfect for those with special dietary needs. After boiling sugar, butter, cocoa powder and milk, stir in vanilla and oats. If you have any leftovers, be sure to store them in an airtight container. If you want to upgrade a store-bought cookie into semi-homemade territory, this fun recipe is for you. 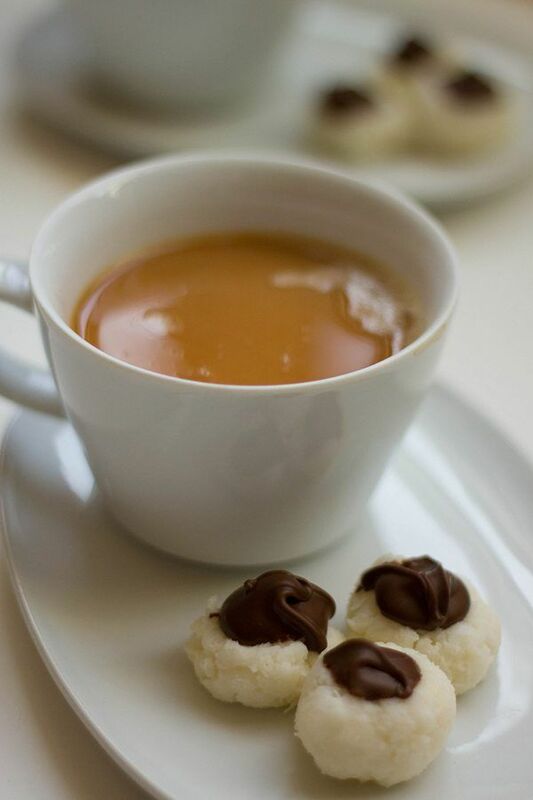 Melt coconut oil with chocolate chunks and spread the sweet mixture over Enjoy Life Crunchy Vanilla Honey Graham Cookies. Then, top the treats off with a sprinkle of Kraft Jet-Puffed Vanilla Mallow Bits. 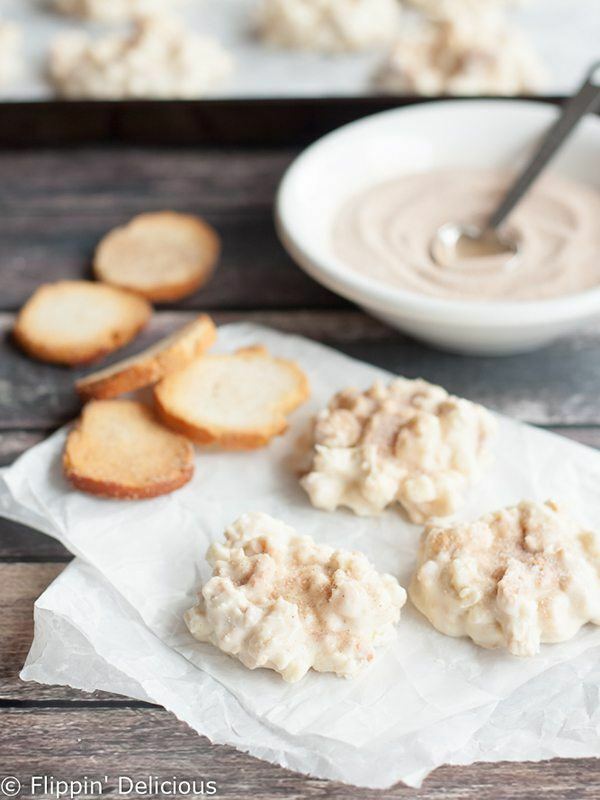 When you melt coconut oil with white chocolate chips and stir in crushed-up Glutino Gluten Free Cinnamon and Sugar Bagel Chips, you get a little taste of heaven. Use a cookie scoop to lay out even drops of batter onto parchment paper before you scatter some extra cinnamon and sugar on top. These cheesecake cookies are a breeze to make. You just crumble a package of Udi's Chocolate Chia Gluten Free Muffin Tops and stir in softened cream cheese alongside some chocolate chips. 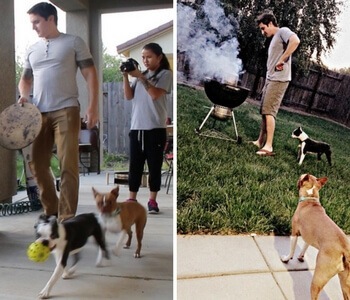 The amazing results will impress your guests, who don’t have to know you followed an easy recipe. 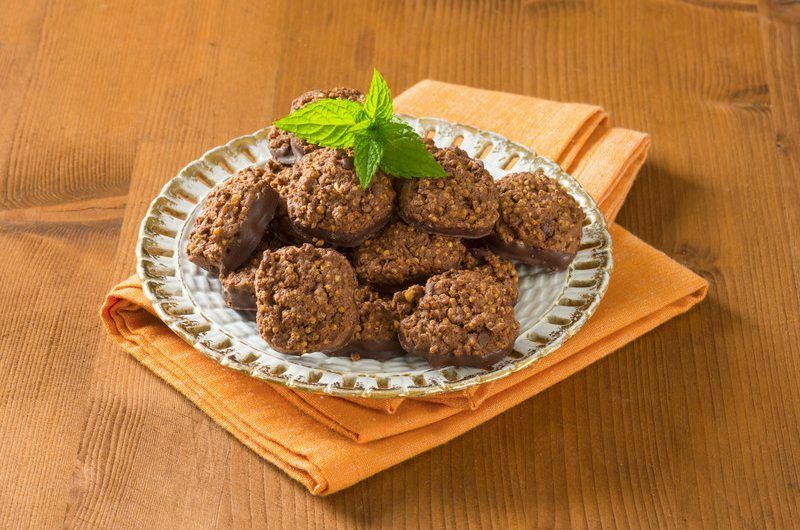 Featuring hemp seeds, almond flour, almond butter, cocoa powder, maple syrup and vanilla extract, this cookie gets even better when dipped in melted dark chocolate. Simply use your food processor to pulverize the seeds so you have the right consistency. Employing cocoa powder, walnuts, dates and vanilla in the crusts with a sweetened coconut butter for the filling, these Oreo-inspired cookie sandwiches look precious and taste great. 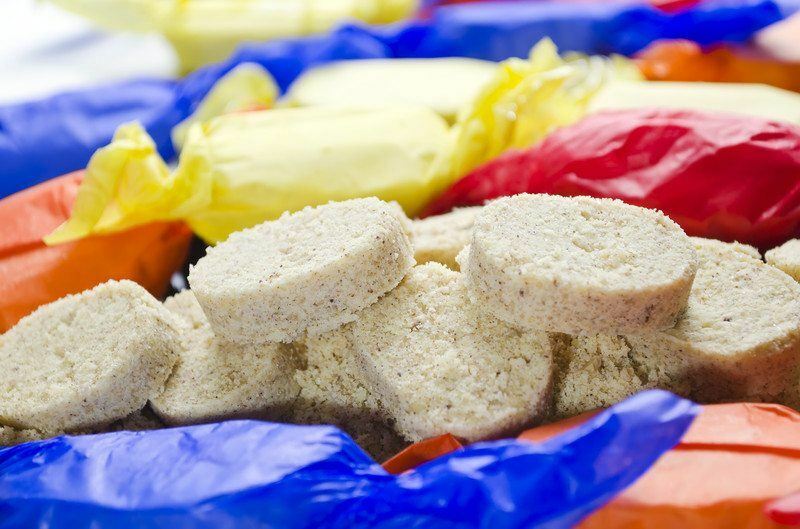 Just be sure to store your leftovers in the fridge or freezer since the filling will melt at room temperature. Combine coconut sugar, coconut oil and coconut milk over heat to create a dairy-free caramel sauce, which tastes amazing when you stir in vanilla, sea salt and a base like coconut or gluten-free oats. For extra pizzazz, toss some chocolate chunks into your batter and then scoop spoonfuls of the cookie dough onto parchment paper to cool. 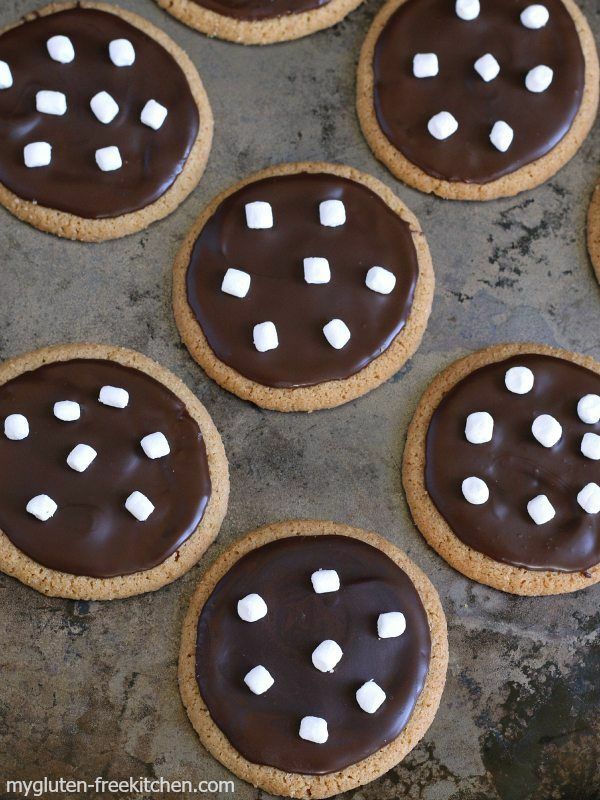 You are here: Home / Dessert / 30 Gluten-Free No-Bake Cookie Recipes… OmNomNom! It was our pleasure to include your recipes in this roundup! There’s so much information online, we love to do roundups to folks can find the best recipes in one place. 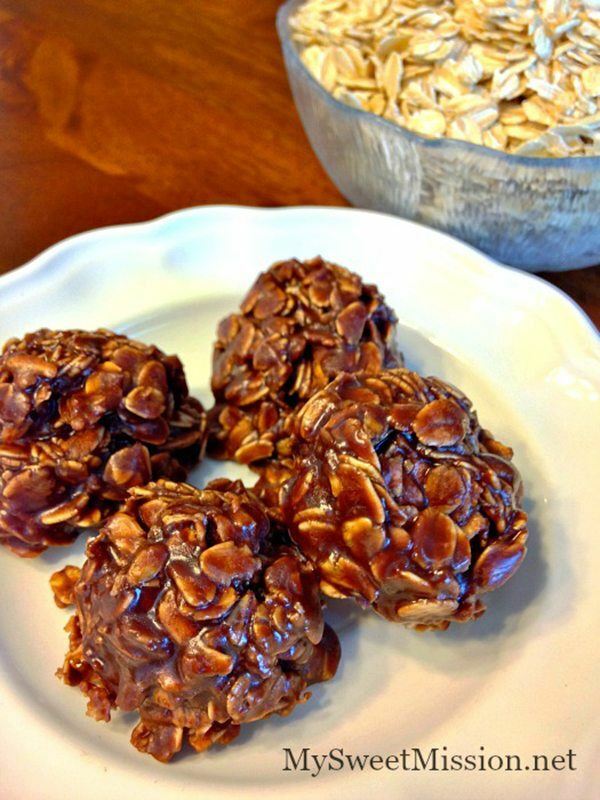 I know I’ll be trying your chocolate oatmeal cookies this week Heather! So many delicious looking recipes in one place! I can’t wait to try those chocolate coconut cookies. 🙂 And so, so many others. Thanks for including one of my recipes! You’re welcome Erin! It was our pleasure, and thanks for being part of the roundup!